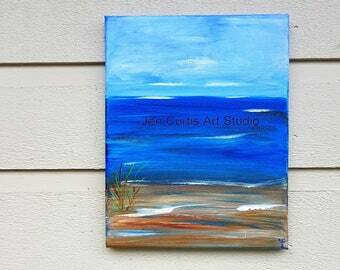 Announcement Welcome to my shop full of original hand painted art on canvas and wood. 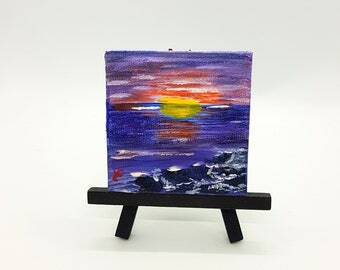 Colorful Paintings in mostly Miniature sizes! 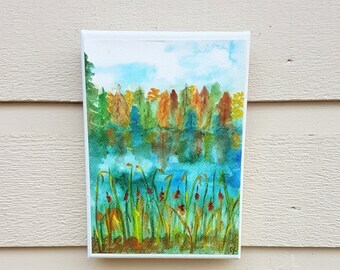 Free Shipping on Watercolor cards to Canada! 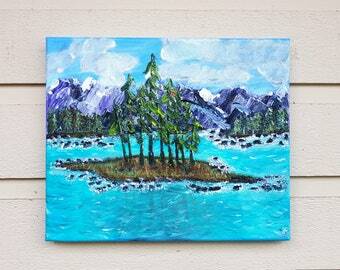 Free shipping on most art in Canada! Please visit my other shop for vintage books, toys and decor. 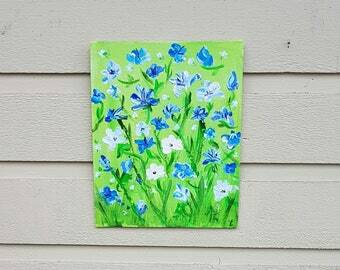 Welcome to my shop full of original hand painted art on canvas and wood. 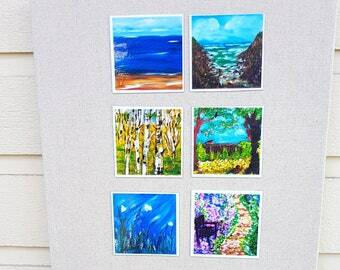 Colorful Paintings in mostly Miniature sizes! 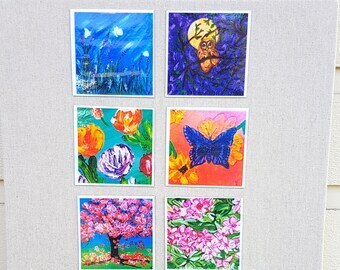 Free Shipping on Watercolor cards to Canada! 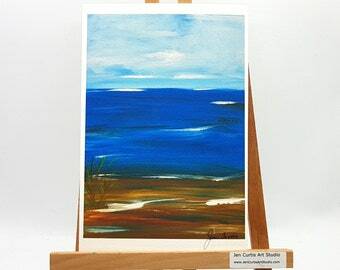 Free shipping on most art in Canada! New art piece coming soon! We live on the West Coast of BC and I'm inspired by the Ocean and Mountains! 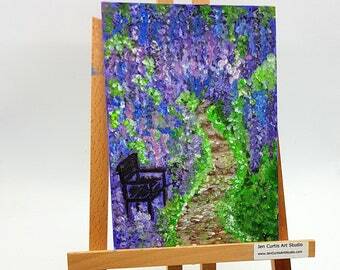 I love Acrylic paints and recently have been working on adding more texture to my paintings. 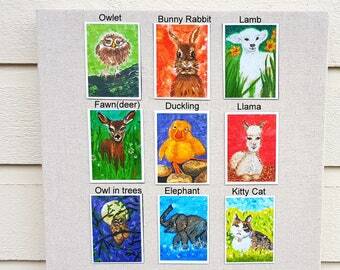 I love this idea for displaying my artwork. This customer has added my piece (bird on a fence) to her gallery wall! I have been working towards this latest passion my whole life. 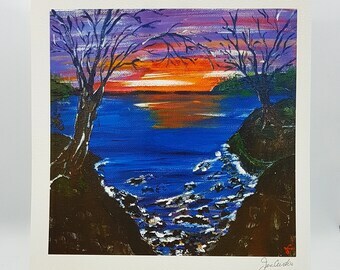 Recently I have focused my creative energies towards learning to draw and paint. In addition, I love the art of pyrography or wood burning so I combine these methods to create original designs on wood and canvas. I hope you'll join me in my journey of exploring this new medium and discovering where it can take me in my work. Please view my other shop featuring vintage decor. I've been crafting, sewing and designing for all of my life. Recently I have discovered a new passion for painting and love using both acrylics and Watercolors. I also wood burn and paint on live edge wood. Dale is my husband and best supporter. For this shop he will assist with cutting of the various wood pieces for pendants and home decor. 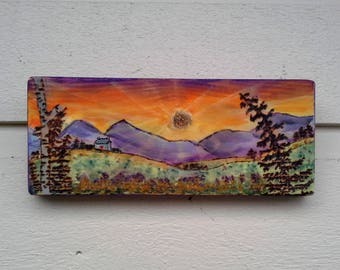 Jen (JenCurtisArtStudio) is based in Canada and has been selling hand made woodburned and watercolor art and décor from 2017. Selling mainly to buyers in Canada and the US but willing to ship internationally on request! We only use customer information to fulfill orders. We do not store or use customer information for any other purpose. Information such as name, address, and email address is not stored on our computers or the Cloud etc. For tax purposes we retain information regarding transactions for a period of 6 years. If and when required, we will communicate with you about your order status using the Etsy platform and if necessary we will also use the email address provided by Etsy with your order. 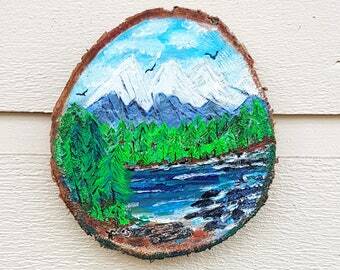 Jen (JenCurtisArtStudio) is based in Canada and has been selling hand made woodburned and watercolor art and décor from 2017. Selling mainly to buyers in Canada and the US but willing to ship internationally on request! We only use customer information to fulfill orders. We do not store or use customer information for any other purpose. Information such as name, address, and email address is not stored on our computers or the Cloud etc. For tax purposes we retain information regarding transactions for a period of 6 years. If and when required, we will communicate with you about your order status using the Etsy platform and if necessary we will also use the email address provided by Etsy with your order.